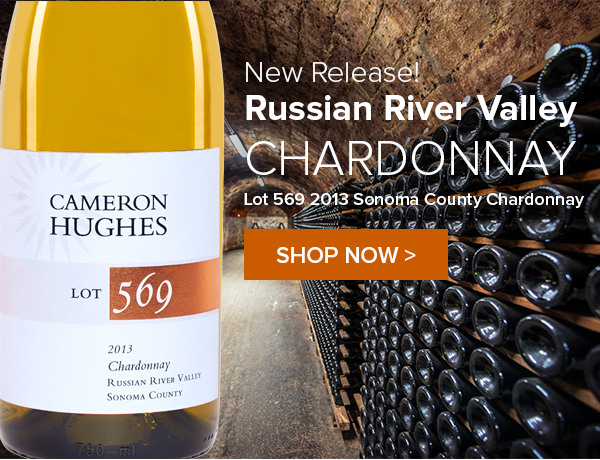 Just Released: Exquisite, Small-Lot Russian River Valley Chardonnay Shiners! Let me get this out of the way up front – you’re probably not thinking “extreme value” when I say I have a Chardonnay for you at $24/bottle. It is, after all, the most expensive California Chardonnay we’ve ever offered. All value is relative, of course. If I told you I got my hands on 250 cases of world class, single vineyard designate Chardonnay shiners sourced from one of the Russian River Valley’s iconic vineyards, barrel fermented in a combination of 100% new French oak of the highest order and cement eggs, then aged for 16 months and an additional two years in bottle before its initial release to the tasting room (at a per-bottle price of $65), maybe then you might agree: $24 is quite a deal. For those of you interested in a perfectly aged, just entering its prime example of California Chardonnay winemaking at the absolute highest level, I can think of no finer opportunity to have a taste. 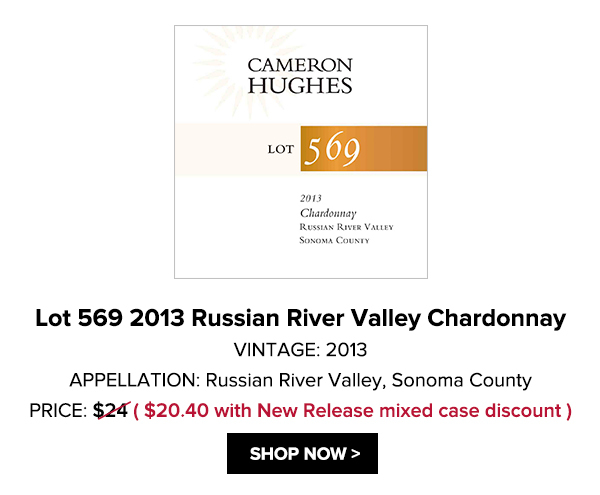 Unless you’re playing the auction market, this is actually a rare find: a 2013 vintage Russian River Valley shiner from a top estate with perfect, direct-from-the-cellar provenance. Gleaming and golden with shades of lemon green, this flinty beauty is just waking up in the bottle. I highly recommend you pull it out of the fridge, pour yourself a bit, decanting the rest while you watch it evolve over a couple hours – this wine is a journey. An absolutely explosive nose of honeydew melon, pineapple, crème brulee, hazelnut, and toasted brioche, all evolving brilliantly in this glass of liquid sunshine. Smooth and broad across the palate, with butter, caramel, pretty lemon minerality, and a fantastic tension between the riper fruit components that come out to play with air. Plenty of structure here, with another 10-12 years of life on it and maybe more. As a New Release special offer, go ahead and take 15% off any purchase of one case or more through Thursday night at midnight (Wine Club members get 20% off) as long as the order includes one bottle of Lot 569 (mix and match the whole store! ).